When your cladding sub-contractor offers to drive in his van to Neu Ulm (near Munich in Southern Germany) to pick up 6 rolls of aluminium cladding, because he knows this is the only place to get the exact finish that meets your client’s requirements; you know you’ve got the right man for the job. 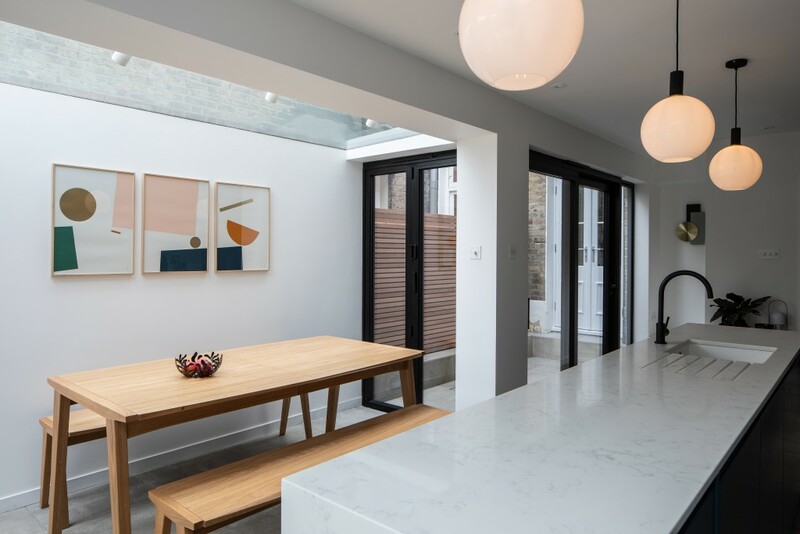 The sourcing of products and materials was part of the success of this project; but working collaboratively with the client, and the contractor’s team was also key to achieving a beautiful end product. 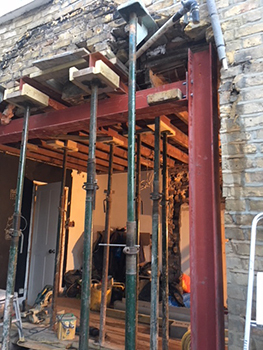 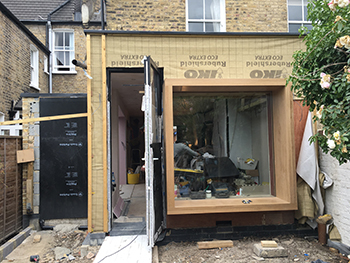 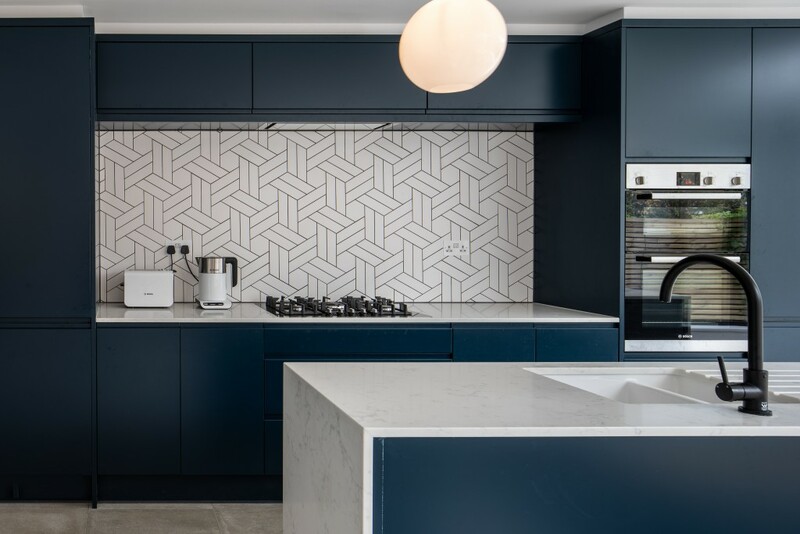 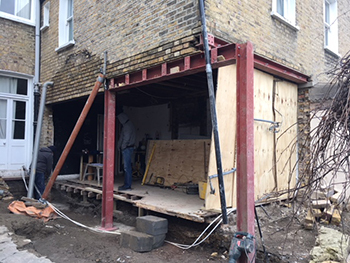 Our client’s brief for this project was to provide a considered but unique addition to their existing home in Forest Hill, South-East London, which would enable them to accommodate their changing needs, instead of selling their property to buy a larger house. 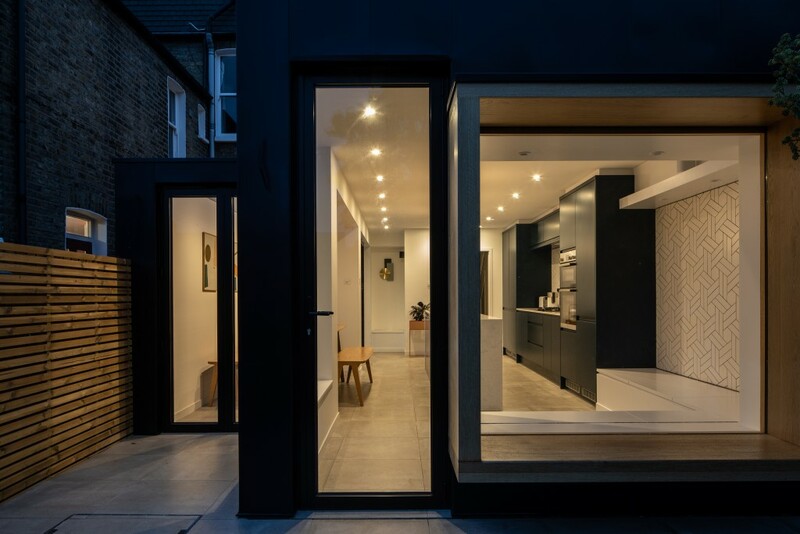 The design includes single storey rear and side extensions, and seeks to minimise any impact on the adjoining neighbours by creating a small courtyard that can be accessed on 3 sides. 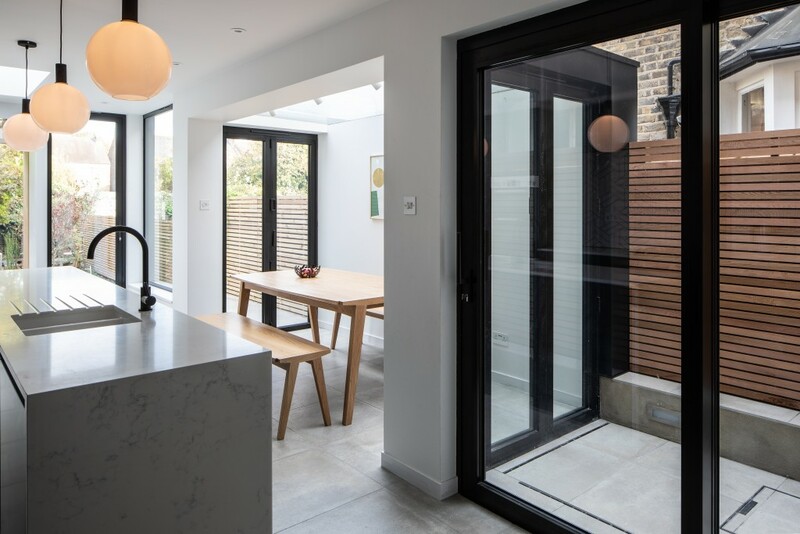 The courtyard arrangement is key to providing ‘relief’ to the confined floor plan, and allows daylight to flood into the existing and new internal spaces. 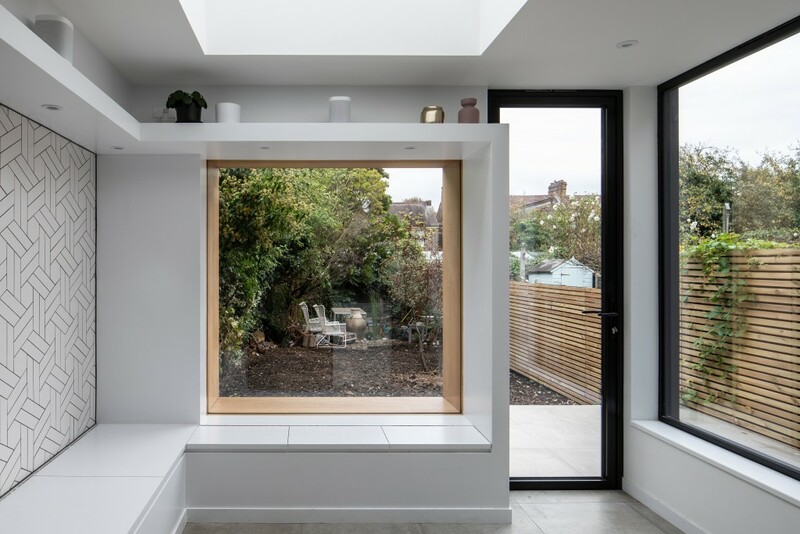 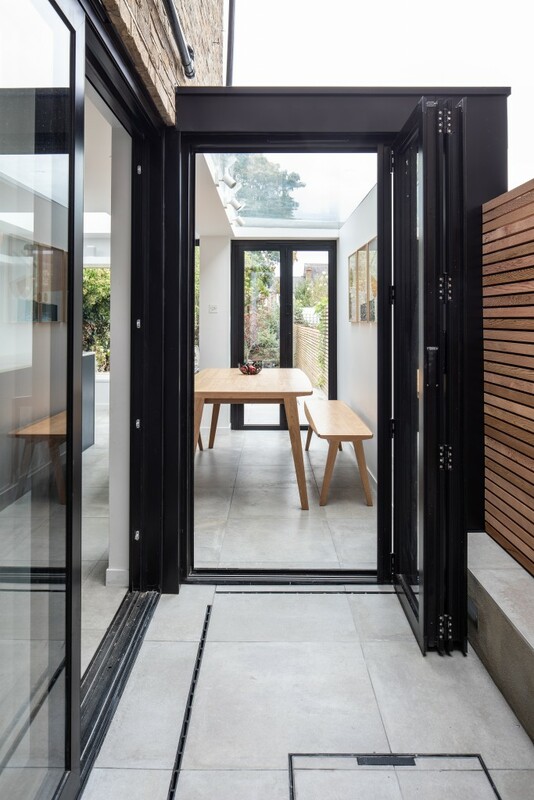 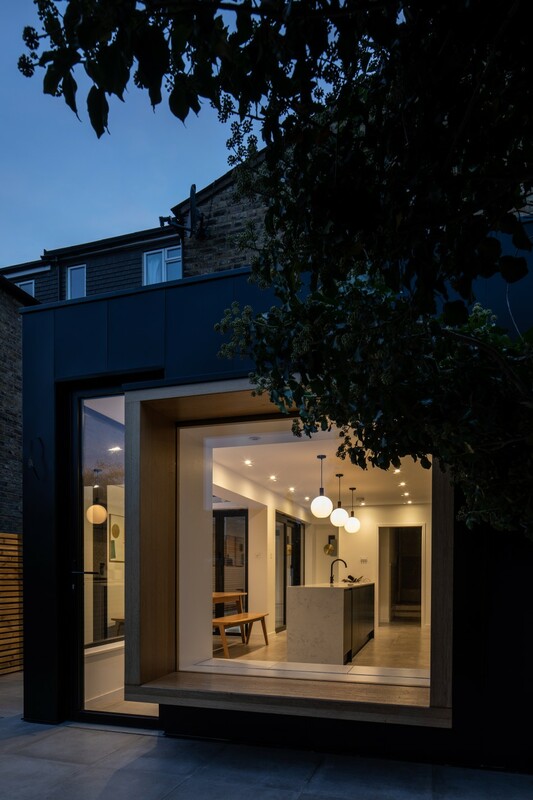 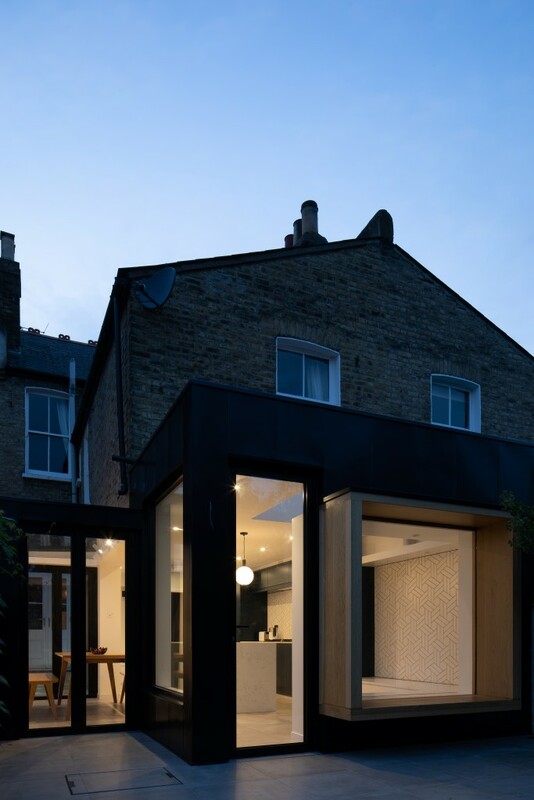 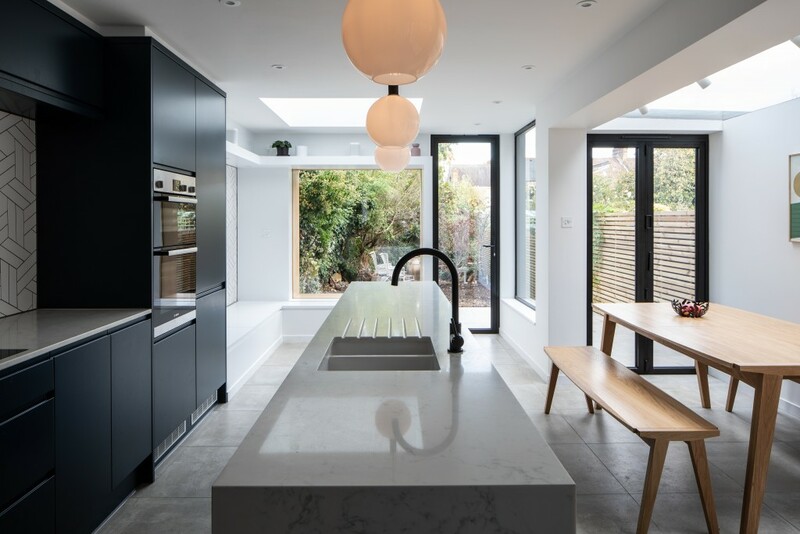 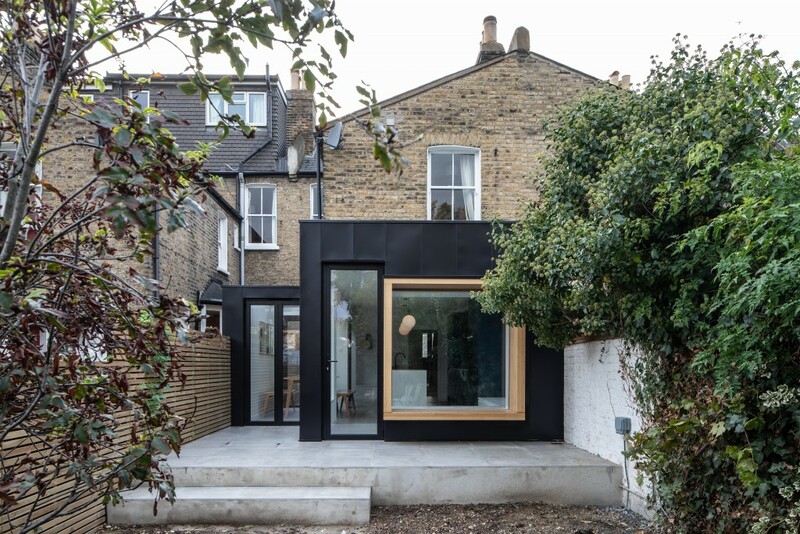 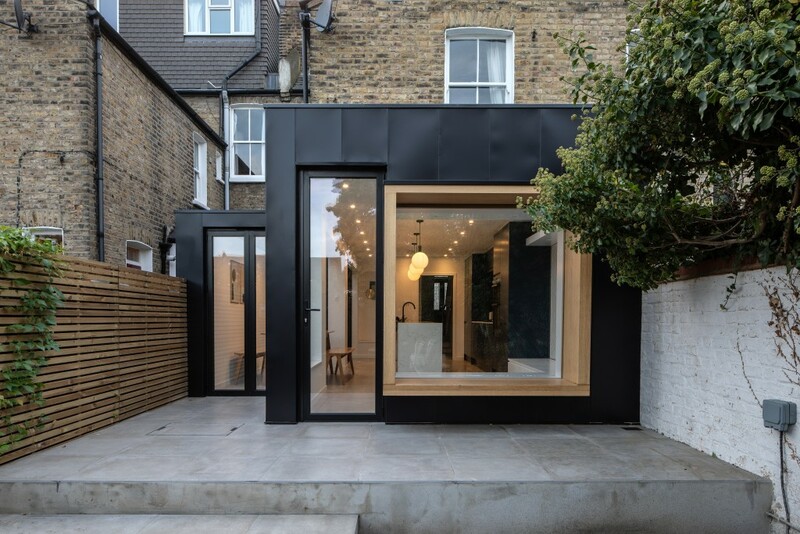 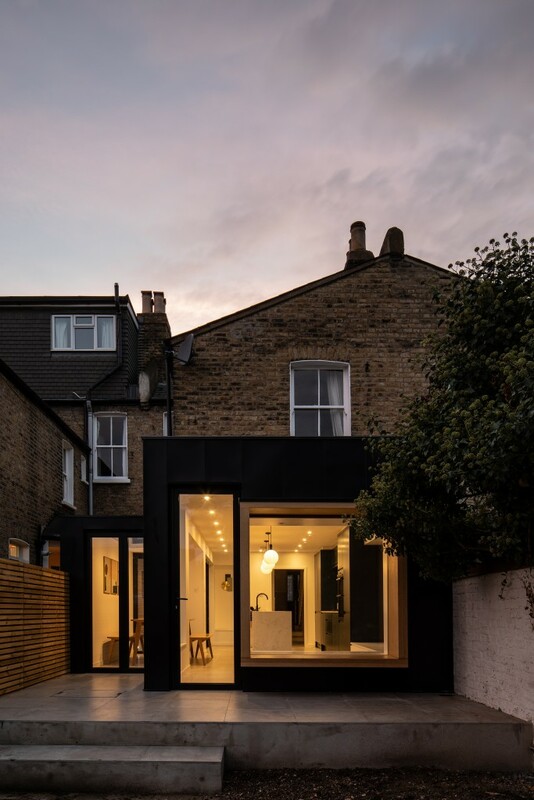 Externally the black aluminium cladding provides a stark but complimentary contrast to the existing London stock brickwork, and provides a blank canvas for the protruding Oak window seat which appears to float and frames reciprocal views between the kitchen and garden.